The Barbara and Mike Bass Library/Community Resource Center is the knowledge gateway for LCCC students as well as the entire community. Students and community patrons have complete access to an ever growing collection of educational resources. The Information Commons, located on the second floor, houses 75 computer stations complete with Internet connectivity and the latest software, 48 wireless laptops for use throughout the building, two interactive video distance learning rooms and three smart classrooms. Throughout the facility, students and patrons can utilize spaces designed to inspire collaboration. There are several meeting rooms, 12 small group study rooms and furniture throughout the library. 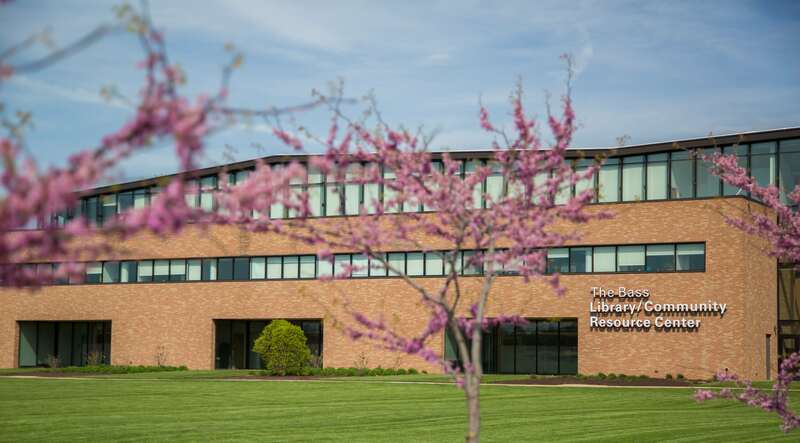 The library’s “Main Street” is found on the first floor and is home to LCCC’s admissions, registrations, financial aid and student services for complete one-stop access. Through a partnership with the Elyria Public Library, the Community Living Room on the first floor invites patrons of both library systems to explore the newest arrivals in personal enrichment and fiction books. The children’s section in this space also offers many interactive learning opportunities.